Yes they do seem to be getting along swimmingly. They do, don't they? Yes they do. Don't they though? I had no idea where to put this but it sorta marginally counts???? Thought the rest of the Bowie Army would get a kick out of it. OH MY GOD how have i not seen this??? He's so cuuuuuute. Macca really looks like Bowie in the first one! On the topic of Bowie, here's a few more Bowie photos related to the Beatles. 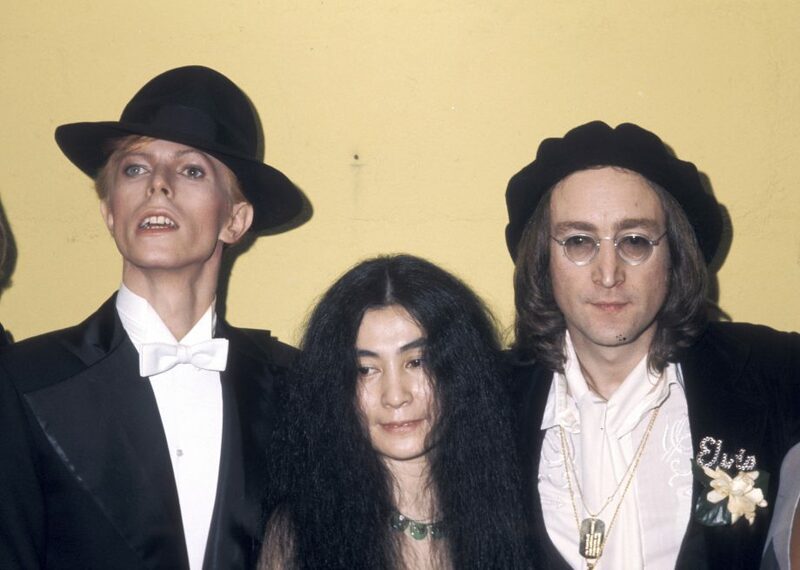 David Bowie, Yoko Ono, and John Lennon at the 17th annual Grammy Awards in 1975. John Lennon and David Bowie in Hong Kong in 1977. Pretty low quality photo, but still cool. 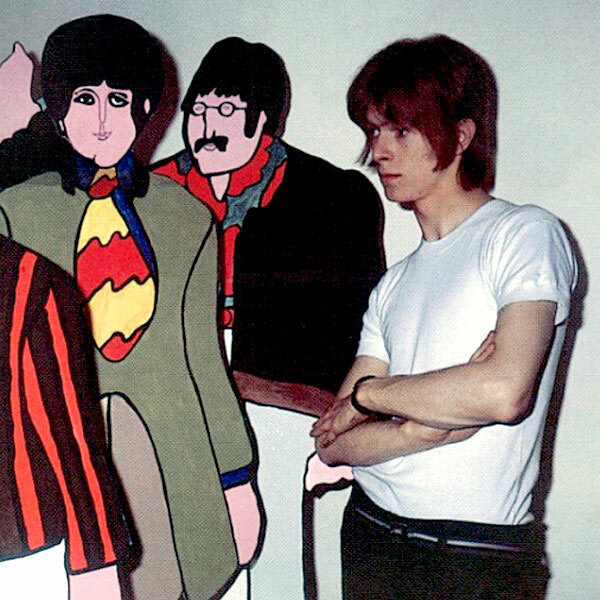 Another photo of a young Bowie with Yellow Submarine cut-outs. Ringo Starr , Lulu, David Bowie and Cat Stevens at the Ziggy Stardust retirement party in 1973. "Give me love, give me peace on earth." Happy Earth Day!